Barwise got off to a late start compared to most towns. It was born in 1928 with the arrival of the railroad. The first name was Stringer, Texas, named for the original landowner, but there was already a town using that name. The name Granary was floated and then voted down. They decided instead to let fate have a hand. The town�s name would come from the first person to register at the town�s hotel. Judge Joseph Barwise was the first registered guest and the community was therefore named in his honor. 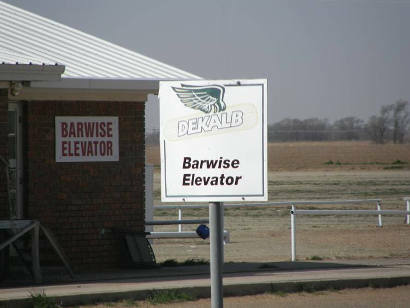 Although the Great Depression was approaching and the population was a mere 25 residents, Barwise added the essential businesses as well as two grain elevators and a fertilizer dealer. 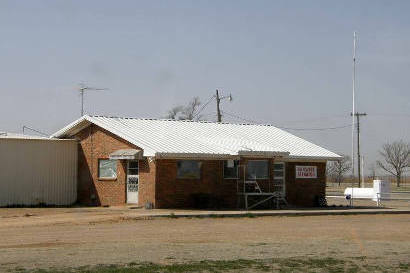 By the 1940s, the population had increased to an estimated 75 residents and the highway department had built FM 784 to connect Barwise with a non-railroad link to the outside world. A population estimate in the 1980s claimed 30 residents although when the residents themselves were consulted, they came up with the smaller number of nine. The census of 1990 reported 30 residents, but by 2000 it had decreased to just 16. 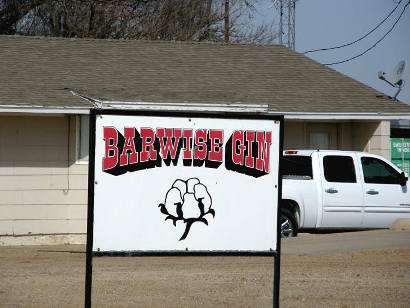 Like so many gin towns of West Texas, there is little more there than the gin and elavator. It is located about 11 miles west of Floydada near the county line. Texas Escapes, in its purpose to preserve historic, endangered and vanishing Texas, asks that anyone wishing to share their town history and vintage/historic/contemporary photos, please contact us.